After searching government accounts -- and maybe under the sofa cushions -- Greece appears to have found the money needed to make a crucial debt payment. Finance Minister Yanis Varoufakis has told Christine Lagarde, the managing director of the International Monetary Fund, that Greece will meet the Thursday deadline for its 460 million euros ($505 million) payment to the group. The pledge should alleviate investor worries over a possible default. "I welcomed confirmation by the Minister that payment owing to the [IMF] would be forthcoming on April 9," Lagarde said after meeting Varoufakis on Sunday in Washington. While Greece has insisted it has the funds to cover loan repayments, only the government knows just how much is really left in its treasury. Tax revenues in January and February came in 1.1 billion euros ($1.2 billion) below forecast. Some reports have suggested that the government might not be able to meet its obligations. Eurozone finance ministers agreed earlier this year to extend Greece's bailout program, but only once they're happy with the country's plans for economic reforms. Athens did submit a new list of reforms last week. The document, published by the Financial Times, details the government's plans to tackle tax evasion and fraud. They include a proposal for a lottery to encourage consumers to ask for sales tax receipts, a new luxury tax, and higher revenues from tourism. 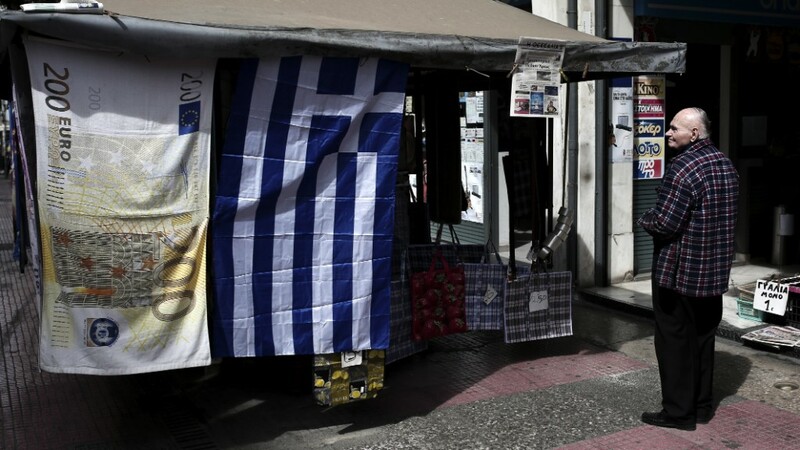 But the list also included a number of measures that are likely to spark a backlash from the creditors, including reversing earlier reforms that could cost the Greek government an extra 1.1 billion euros ($1.2 billion) this year. Neither Greece nor the IMF released specific details of what Lagarde and Varoufakis discussed during their meeting. Reform talks are expected to continue this week. "We had a fruitful, extremely productive discussion about the Greek reform proposals," Varoufakis said after the meeting. "We are intent upon reforming Greece deeply."